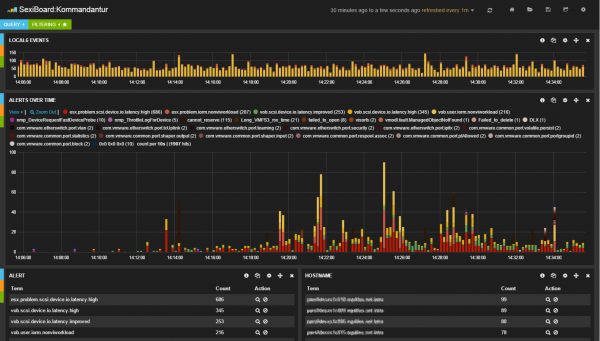 Released today, SexiLog is a free pre-configured ELK log management virtual appliance designed for vSphere environments. It delivers great log analytics and real-time monitoring capabilities, combined with highly customizable dashboards. 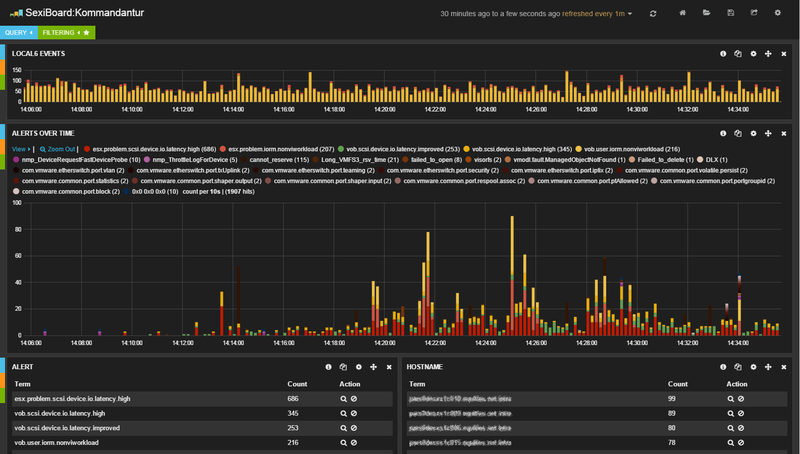 Almost 20 predefined dashboards (a.k.a. SexiBoards) are available out of the box, but you can create as many as needed for your needs. The appliance is based on the ELK stack (ElasticSearch, Logstash and Kibana) as on other opensource tools (nodes.js, etc.). if you want to try the product before deploying it, you can access a demo here : demo.sexilog.fr. Kudos to Frederic Martin (@vmdude_fr) & Raphael Schitz (@hypervisor_fr) for developing such a great tool !